A continually growing photographic log of my "Ballpark Collection." I'm a baseball fan. I grew up going to games with my father, grew into my adolescence going to games with my friends, and somewhere along the line I realized how relaxing it can be to just go to a game with nothing but a pen and a scoresheet and lose myself in the game for a few hours. 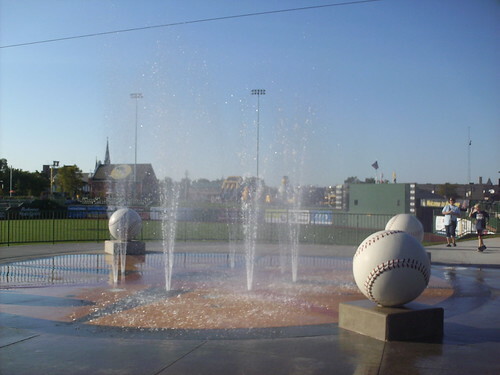 I'm also a fan of ballparks. The "great cathedrals of the game" can be awe-inspiring and amazing. I grew up in New England, a Red Sox fan, and saw my first Major League game at Fenway Park. The feeling of walking into one of those larger than life stadiums, with the outfield sprawling in front of you is always an amazing one. And there's nothing like cheering along with 30,000 other people when the game is on the line. 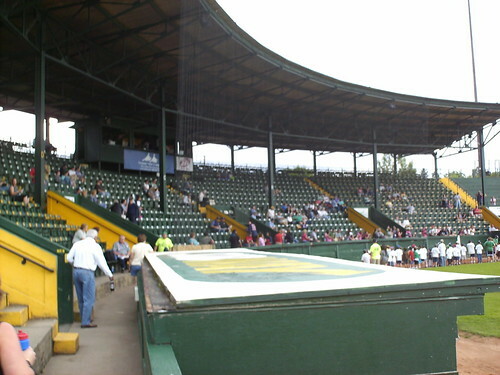 But the small town ball fields with cramped grandstands and uncomfortable wooden seats (actually Fenway has those too) have just as much, if not more, charm. There's something pretty amazing about sitting behind the old man from down the road who has been rooting for small town minor leaguers for decades, screaming encouragement that every player on the field can hear, word for word. Beyond the fans and the feel of the game though, I'm fascinated with the way ballparks are laid out. No other sport has such loose guidelines for how their fields are laid out. If you stand at mid-field at any NFL field and run 50 yards, you score a touchdown. But if you stand at home plate in a major league park and hit a ball 335 feet, the result really depends on where you're playing. 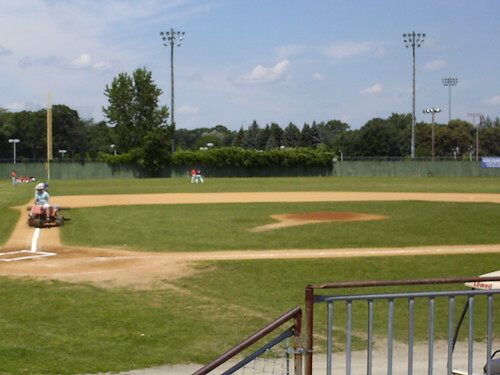 In some parks its a home run In some its just an out. And sometimes it ricochets off a flagpole or gets lodged in the ivy. You'll never see a basketball court with a hill at center court, or a hockey rink where the boards jut out at sharp angles, so the defensemen have to learn the angles to play the puck effectively. But you see that all the time in baseball. Very few parks play the same, and I think that's pretty amazing. I try to see a game at as many ballparks as I can. 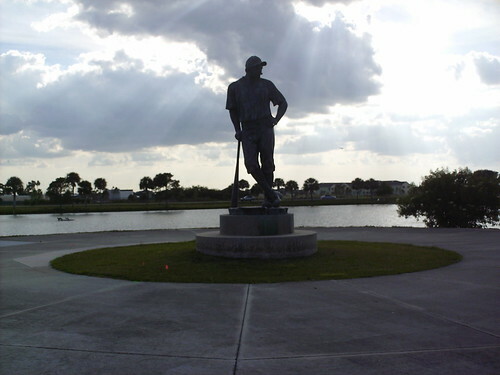 Major League parks, Minor League parks, Independent Pro League Parks, NCAA Divison I and Summer College League parks. This website is my photographic log of the ballparks I've seen games at (and a few I haven't yet, but happened to be in the area of). Every year I try to take a couple of trips and add to my collection. This site documents what I've seen. It's not a "ballpark review" site. I'm not going to grade each park. There are plenty of very good sites on the internet that do that already. I link to some of them. It's just some pictures, taken by a sub-par photographer with a sub-par camera and my descriptions of each park. 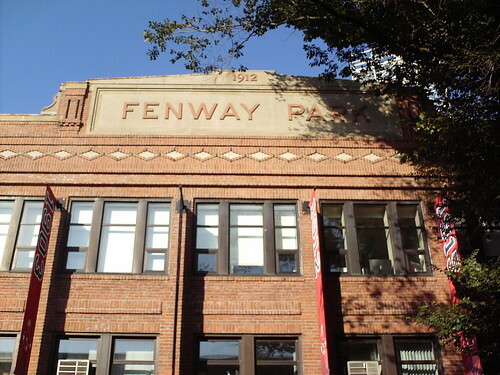 There's a slight Red Sox-centric side to the site, I sometimes focus on things that are relevant to Red Sox history in any park I visit (if there is any). The site is for me as much as for anyone else. To document what I see at each park as a fan and remember it. But if anyone else stumbles by, feel free to look around and see what I've seen so far. I know I enjoy looking at other people's collections. Hopefully mine will keep growing, and I'll continue to have opportunities to visit these parks.